MountainTop Chalet yarn has a beautiful drape. Have you ever started a simple garter stitch scarf to find that it doesn’t have the drape or thickness that you were hoping for? On one of my recent knitting store field trips I came across MountainTop Chalet yarn by Classic Elite Yarns. 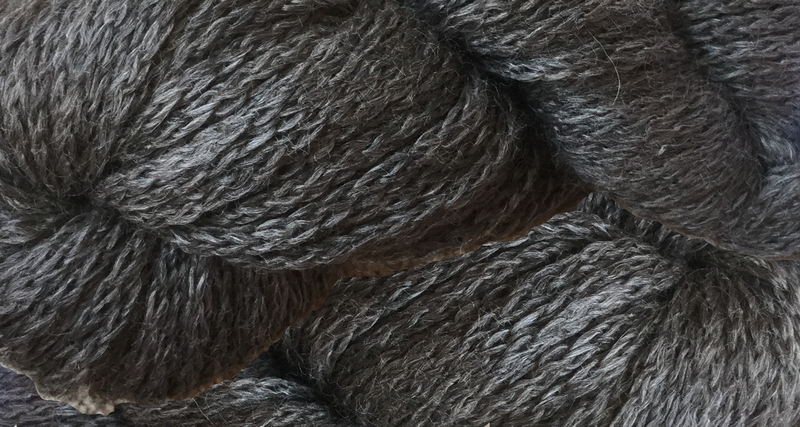 I was immediately drawn to it’s soft feel and was intrigued by the chainette construction, like the yarn had an i-cord appearance as opposed to a traditional plyed yarn. I also loved the chic colors the yarn came in, none of it dyed, all of it natural! Determined to make something special with this yarn, I decided to use it to make a handmade gift for my mother-in-law. The goal was to make something soft and warm for the harsh Wisconsin winters she endures yearly while dog walking. I started with a garter stitch scarf, but I didn’t like the drape of the fabric and it seemed much too thin to provide adequate warmth on a cool winter walk. After spending days scouring Pinterest for a special reversible pattern, relating in little inspiration, I decided to swatch a 2x2 rib. Success! 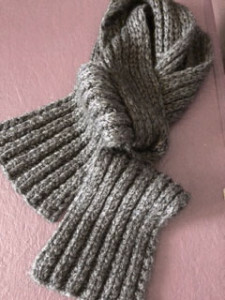 A super simple, warm scarf was born! Wanting to keep the edges tidy and also always wanting to start with a knit stitch at the beginning of each row, (it’s a weird preference of mine, I loath starting a row with a purl- it’s weird, I know) I cast on a multiple of 4 stitches and knit though one and a half hanks of MountainTop Chalet while slipping the last stitch of each row purl wise. It was super simple! This pattern is great to refining continental knitting skills, TV viewing and practicing knitting without looking!